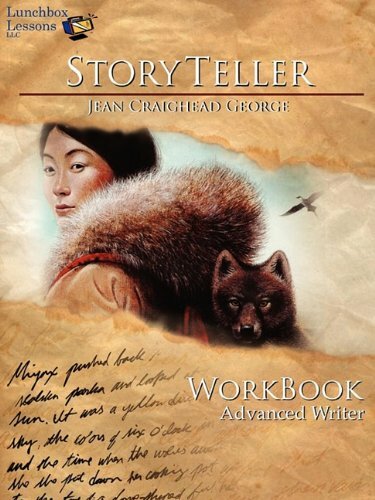 Stories are everywhere, says Jean Craighead George, as she dazzles children with possibilities, real and imaginative. Meet the Newbery Award-winning author of "Julie of the Wolves" as she turns the world into a classroom. She paints, talks with her parrot Tocca, explores the natural world aloud, and brings it to life again with the written word. She becomes our portal to both science and fantasy, taking learners on a stroll through her favorite landscapes and sharing the secrets of research, reporting, setting, plot, character, and metaphor. Children delve into science, language arts, and natural history as they follow their imaginations, investigate, and create their own unique stories. If you enjoy good books and would like to learn from one of our most beloved authors, Jean Craighead George, you've come to the right place! With Lunchbox Lessons' free downloadable BrainSnacks and the activities that follow, you're in for a real treat! BrainSnacks are one-to-five minute videos featuring Jean as she talks about how she writes. They include personal stories and sound advice that you can view on your iPod or computer as many times as you'd like. To download and view BrainSnacks for this WorkBook, visit lunchboxlessons.com or visit iTunes and search under Podcasts. After you're done watching, look through this workbook for the activity pages that match each BrainSnack. These activities are fun and exciting, not some boring fill-in-the-blank workbook. You'll get to go outside, explore and play games with your parents, and once you've finished this workbook, you'll have created your very own story. So dig in, meet Jean and have some fun! We know that you'll end up writing a story that you won't forget!